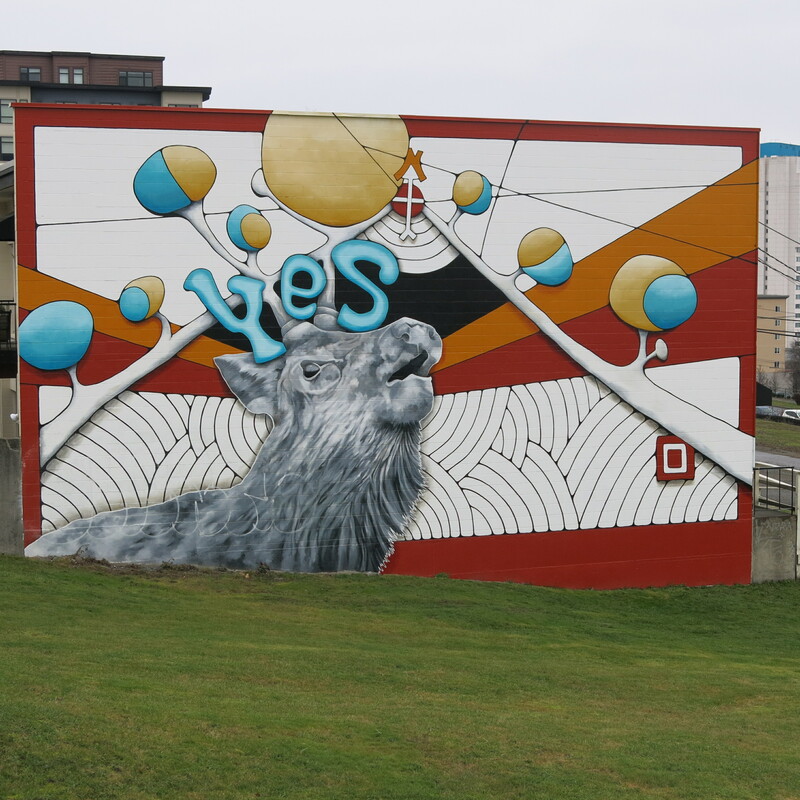 The YES WE CAN mural by Mindy Barker is located at the Tahoma Associates Building, 1545 Tacoma Ave. The mural, which features an elk in front of an abstract Mt. Rainier, is located near the site where the local Indian tribes would welcome the Winter Solstice. More information on this wonderful neighborhood addition can be found here. 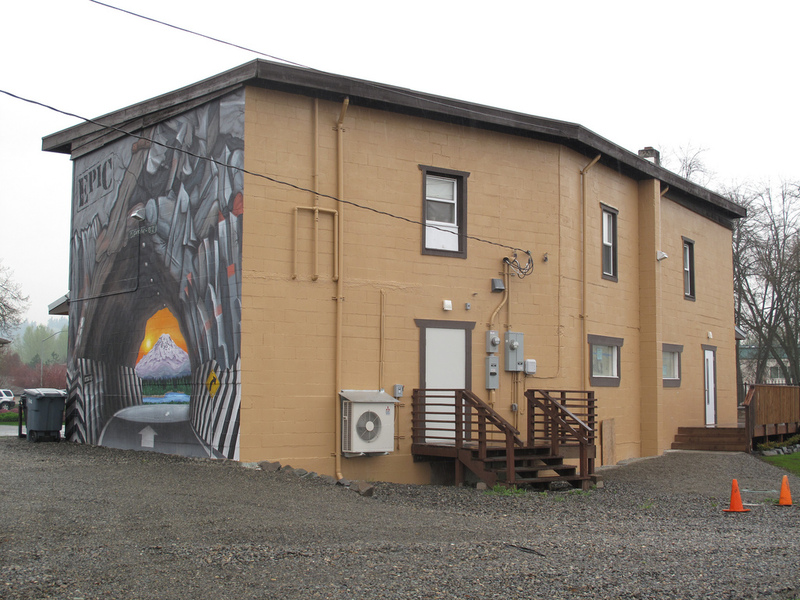 The mural is part of the Tacoma Murals Project. This entry was posted in Art -- there is art here!, Office Space, Tacoma, WA State - Pierce County and tagged art, elk, Indian, Mindy Barker, mountain, Mt. 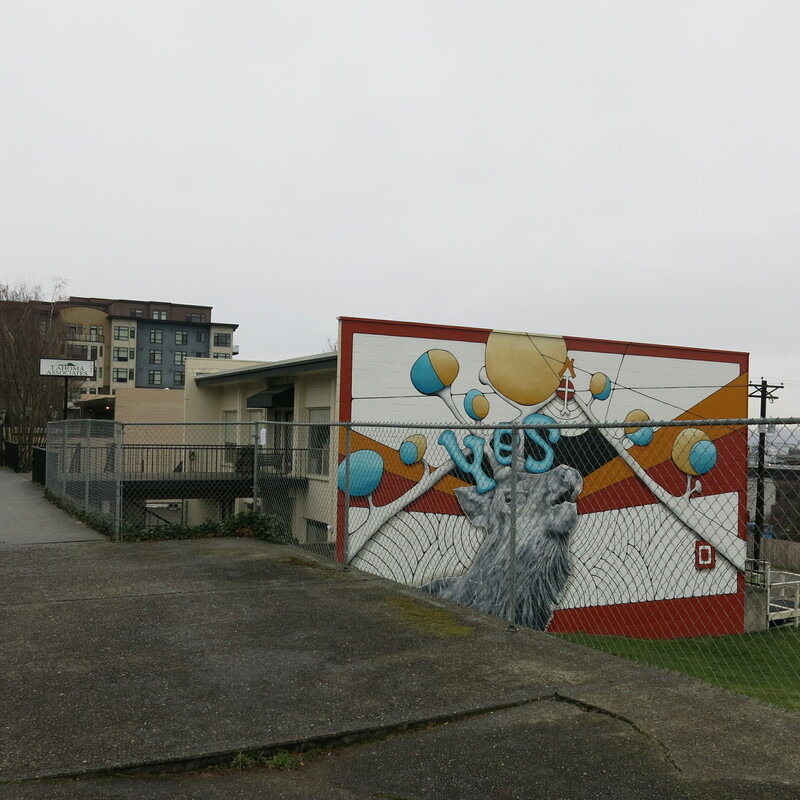 Rainier, Tacoma, Tacoma Avenue, Tacoma Murals Project, Tahoma Associates Building, Tahoma Building, Winter Solstice, Yes, Yes We Can on January 2, 2015 by admin. I was driving around the other day and found this terrific mural 2914 East Main Avenue. It is a Trompe-l’œil style and I was tempted to drive on through to the beautiful mountain sunrise. But of course that would be a bad idea. I think the building is used as apartments. There is a sign on one of the doors that says “Due to the recent thefts, the upstairs tenant has been instructed to shoot … then call police“. 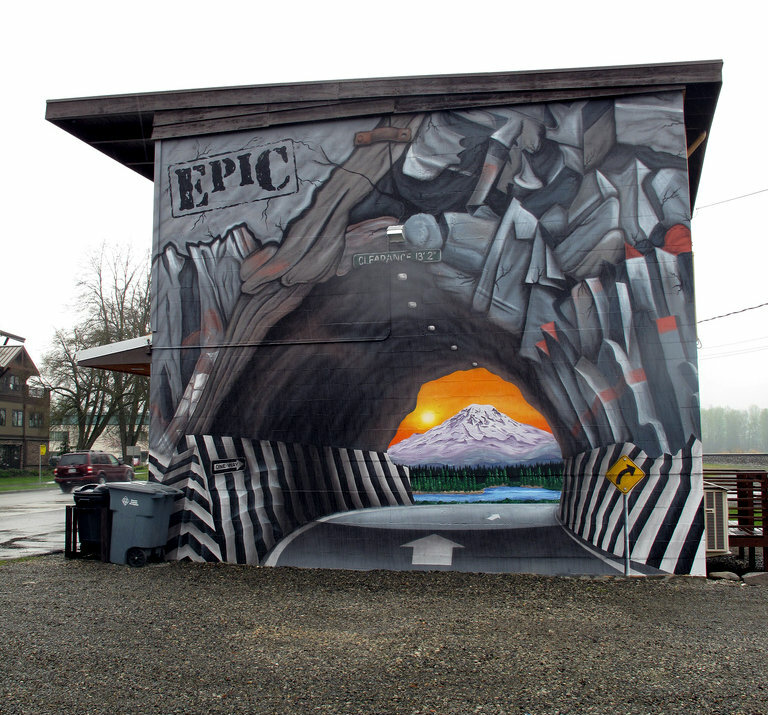 This entry was posted in Art -- there is art here!, Puyallup, Residential, WA State - Pierce County and tagged apartments, Main Avenue, mountain, mural, Puyallup, Rainier, road, sunrise, Trompe-l'œil on April 4, 2013 by admin.